We understand that you always want to look your best with whatever you’re doing – and the gym is no exception! Whilst you’re getting your sweat on, your makeup should be working on overdrive too. No more clogged pores, melting complexions and smudged mascara – essence’s NEW and affordable gym-proof range is here for you. 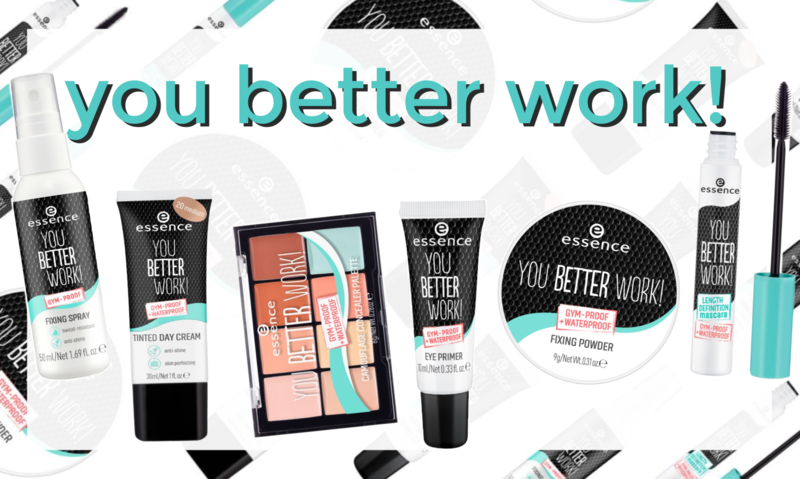 with sweat-proof, protective (that all important UV filter) and mattifying formulas, essence’s you better work range is durable and will prove to withstand even the most strenuous of workouts. All for less than the gym membership itself! It’s about time your makeup worked as hard as you do!